Florida Title Insurance Q&A - Insight From Our Ft. Lauderdale Title Insurance Company | Title Partners Of South Florida Inc.
Have a specific question about your transaction? Have questions about Florida Title Insurance or the Closing Process? Join thousands of people who have read and bookmarked this page to understand everything they needed to know about Florida title insurance and the closing process. What does a title company do in Florida? What is title insurance in Florida? Who pays for title insurance at closing in Florida? Who chooses the title company in Florida? How much does a title search cost in Florida? The free information provided on this page is all you need to understand the entire process related to title insurance in Florida — more specifically, in the South Florida counties of Broward, Miami-Dade and Palm Beach — from the moment you sign the contract through the day of closing. To bookmark this page, press Ctrl + D on your keyboard. To search this page, press Ctrl + F on your keyboard. 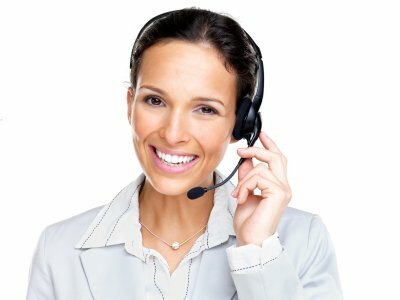 If you have a question regarding your specific transaction this page doesn't answer, contact us online or call us at 954-566-6000. We're here to assist in any way we can. Be sure to thoroughly review this page for detailed and important information about the real estate contract, title search, title insurance, title insurance fees and costs, who pays for title insurance in Florida, who chooses the title company in Broward County and all other South Florida counties, and last but not least — the "closing" — where the documents are signed and the keys are exchanged. Let's get started! What happens once the buyer and seller sign a Florida real estate contract? You’ve spent weeks, if not months, trying to buy or sell a home. You finally find a home or a buyer, sign a contract… then what? Real estate agents play a significant role in a Florida real estate transaction. They help you find the perfect home or market your home for sale, negotiate price and facilitate the signing of a real estate contract. If you're not utilizing the services of a real estate agent, a title insurance company can help guide you in the preparation and signing of a real estate contract. Once the contract is signed by both the buyer and seller, the title company takes it from that point forward. In a nutshell, the title insurance company is responsible for clearing the title, closing on time without any errors and providing you with an overall enjoyable "closing experience". Ordering any necessary payoffs, estoppel letters, municipal lien searches, surveys, etc. As you can probably gather from the list above, the title insurance company also plays a significant role in a Florida real estate transaction. Choosing the right title company can make all the difference in your transaction closing on time and without any last minute issues. Whether you’re in Broward County, Palm Beach County, Miami-Dade County, or Monroe County, your South Florida title insurance company will make all the difference. By reading more below, you’ll understand why. Who directs where the earnest money deposit is held, and which title company will handle your closing? Real estate agents and lenders may refer you to a title insurance company in Broward County or other South Florida counties for many reasons. Maybe they like working with the title company for a personal reason, maybe their company has an interest in the title company or maybe they receive perks for referring to the business. Whatever the reason, it’s in your best interest to do your due diligence and choose the right title company for you. Shop for Florida title insurance like you would shop for any other product or service you’re going to purchase. Not every title insurance company is the same. The title company you choose will play a critical role in you experiencing a successful and stress-free real estate closing. Be an informed consumer and choose the title insurance company that best fits your needs — even if it’s not Title Partners of South Florida. If you’d like to learn more about Title Partners of South Florida to determine if we’re the type of company you’d like to work with, we invite you to visit the About Us section of our website to learn more about our mission, vision, employees, processes and company values. When you purchase a home in Florida, you’re really purchasing the title to the property, which gives you the right to occupy and use the space. That title may be contested based upon past rights and claims asserted by others. These types of claims can cause you to lose money or even worse, lose your home. A title search is a detailed examination of the historical records concerning a property. These records include deeds, court records, property and name indexes and many other documents. The purpose of the search is to verify the seller’s right to transfer ownership and discover any claims, defects and other rights or burdens on the property. A title search can show several title defects and liens, as well as other encumbrances and restrictions. This can include unpaid taxes, unsatisfied mortgages, judgments against the seller, and restrictions limiting the use of the land as well as many others. Are there any problems a title search cannot reveal? Yes. There are some “hidden hazards” even the most diligent title search may never reveal. For instance, the previous owner could have incorrectly stated his or her marital status, resulting in a possible claim by a legal spouse. Other “hidden hazards” include fraud and forgery, defective deeds, mental incompetence, confusion due to similar or identical names, clerical errors in the records and many more. These defects can arise after you’ve purchased your home and jeopardize your right to ownership, unless you have title insurance to protect that right. According to a Sun Sentinel article, Florida leads the nation in fraud and ID theft. The cost of a title search in Florida is typically the seller’s responsibility and ranges anywhere from $150 to $1500, depending if it’s a residential or complex commercial title search and examination. The fee will be a separate line item on the Settlement Statement, which outlines all the related costs and specifies who pays which fees. If you’re wondering how much your title search will specifically cost in Broward County or the surrounding area, Title Partners of South Florida is more than happy to help you. Title insurance is your policy of protection against loss in the case that any of these problems — or even a “hidden hazard” — results in a claim against your ownership. If a claim is made against your property in Florida, title insurance will, in accordance with the terms of your policy, assure you of a legal defense — and pay all court costs and related fees. Also, if the claim proves valid, you’ll be reimbursed for your actual loss up to the face amount of the policy. The cost of title insurance in Broward County and other South Florida counties varies based on the purchase price of the property. Unlike other insurance premiums, which must be paid annually, a title insurance premium is paid one time only at settlement. Florida’s title insurance premium is based on a promulgated rate calculation, which is determined by the state of Florida. So, for example, a property worth $100,000 would have a title insurance fee of $575, while a $200,000 piece of property would have a $1,075 title insurance cost. Title Partners of South Florida can help calculate the exact costs of your Florida title insurance. Reach out to us today for a specific quote! In Florida, the person responsible for paying title varies per county and can be negotiated in the contract. In most counties, the seller generally pays for the title insurance and chooses the title company. While title and closing costs are typically paid by certain parties, all costs are negotiable and can be specific to the contract you sign. It's in your best interest to request a free, no-obligation title insurance quote to determine which fees you’re responsible for paying. If you are still unsure who should pay for title insurance in your real estate transaction, reach out to Title Partners of South Florida today. We are happy to help! Most buyers and sellers are indifferent about title insurance companies, while many real estate agents or lenders have an existing relationship with a specific title company they prefer to work with. What many home buyers don't realize is that the title insurance company they work with can have a huge impact on their closing experience! Read our article “The Dangers of Choosing the Wrong Florida Title Company” to learn more about the importance of comparing your options and our article “Choosing the Right Title Company” for more advice on how to pick the best firm for your needs! Explore our article “Who Picks the Title Company: Buyer or Seller?” for more advice on finding the best Florida title company for your needs. Who has the right to make the ultimate choice? The person responsible for choosing the title insurance company is typically the person who pays for the Owner’s Title Insurance Policy — see “Who pays for title insurance at closing in Florida?” above. That said, the party not paying for the Owner’s Title Insurance Policy can make a counteroffer that includes a new proposed title company if they’re passionate about using a specific closing firm. Since the seller customarily pays for the new Owner’s Title Insurance Policy in many counties in Florida, it should give them the right to select the title company. The only caveat would be that, in this case, a buyer would be forced to use the title company the seller chooses, and that South Florida title company may not provide good customer service or "closing experience." In Miami-Dade, Broward, Sarasota and Collier counties, where the buyer customarily pays for and chooses the title insurance company, this may not be an issue. The goal in any transaction is to close it. Buyers and sellers can usually agree on a title company best positioned to do just that — close the transaction without any issues. Many buyers and sellers in Florida rely on Title Partners of South Florida to provide a smooth, stress-free closing. How do you transfer a title in Florida? Transferring a title in Florida is quite simple — assuming the title is unencumbered, meaning there are no competing claims or liens on the property. In these cases, a simple Quitclaim Deed could be used to transfer the title of the property to the new owner. Although a Quitclaim Deed can be a quick solution, a Warranty Deed and title insurance are always recommended due to Florida having so many probates, unauthorized title transfers and title fraud. What is the cost of title transfer in Florida? The fees related to title transfer in Florida are actually called “documentary tax stamp rates,” and they’re included in closing costs — typically paid by the seller, though this is negotiable. The documentary tax stamp rates are uniform throughout the state with one exception: Miami-Dade County. The tax in most Florida counties is $0.70 for every $100 of the home’s purchase price, which is also known as the deed’s consideration. In Miami-Dade, that rate drops to $0.60 per $100. For example, if you purchase a home through most of Florida for $250,000, the documentary tax stamp rates will be $1750. If you purchase a home in Miami-Dade for the same price, the documentary tax stamp rates will be $1500. Closing, also known as “settlement” or “escrow,” is when all necessary documents are signed, the title to a property is transferred from seller to buyer and the keys are exchanged. 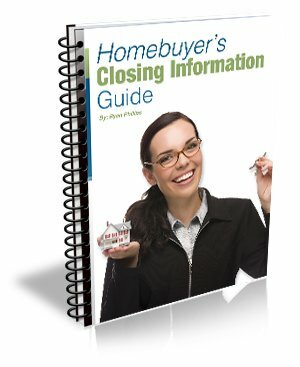 Closing is typically held in the title company’s office and involves the completion and execution of all documents to finalize the transaction between buyer and seller. Even though a closing is typically held in the title company's office, it's becoming more commonplace in today's digital age for all parties to be in different locations when signing documents. These are appropriately named mobile closings and Title Partners of South Florida has a network of mobile closers across the entire United States to accommodate your needs. In some cases, we can handle the signing of documents exclusively online with electronic signatures. In addition, all financial issues are settled at closing, referred to as closing costs. Proceeds are sent to the seller and the necessary documents are filed in the public records, which successfully transfers the title. Prior to closing, review your final Settlement Statement to ensure all the calculations are correct, including credits for past deposits and any other agreed upon buyer and seller credits. Also recheck all lender, title and escrow fees to make sure they’re accurate. What is the most important factor to you when choosing a title insurance company in Broward County and other South Florida counties? Besides facilitating the closing and issuing of a title insurance policy, one of the most important jobs of a Florida title insurance company is to clear the title prior to closing. If the title insurance company fails to do this properly, you may have to make a claim on the title policy after closing, incur a hardship or even face losing your home. There are also issues of communication and fraud. At Title Partners of South Florida, we use a 24/7 secure communication platform, state-of-the-art e-services and other processes and procedures to keep your NPI (non-public information) secure. We implement all the Best Practices set forth by ALTA (American Land Title Association) and adhere to all rules set forth by the CFPB (Consumer Financial Protection Bureau). It’s crucial to choose your Florida title insurance company carefully — it’s not just about the cost. From Broward to Miami-Dade and Palm Beach County (and beyond), Title Partners of South Florida is proud to be the company that upholds all of these crucial factors. When searching for a reliable title insurance company, do your homework. Be skeptical — don’t take our word for it! Search the i<nternet, call title companies, read online reviews, check their credentials and request a title insurance quote online. For more information, call us at 954-566-6000.